We hope you are researching your hair transplant options carefully and that you are impressed by our hair transplant results. Dr. Lupanzula and the entire team at Medikemos work hard to provide permanent treatments to help you fight the battle against hair loss. Medikemos Clinic is proud of the hair transplant results that are being achieved every day. 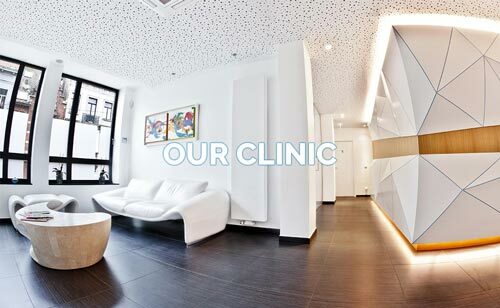 We believe that consistency is the most valuable asset one should consider when researching hair transplant clinics. Every clinic can get a great result from time to time but only a great clinic gets great results consistently. We are confident you will agree once you have viewed our hair transplant photo and video gallery. Naturalness, coverage, density; these are the qualities that can be expected from the hair transplant results achieved by Dr. Lupanzula and Medikemos Hair Restoration Clinic in Brussels, Belgium. How long must I wait until I can resume normal hair care? You can resume normal hair care after two weeks or when the scabs have fallen off and you have finished your medication, whichever comes first. When will I see my full result? Regrowth can already begin between three to five months after your procedure but it can take a full twelve to fifteen months for the full and final result. Technically, you can return to work the very next day. In reality, for your own comfort, it is probably best to wait up to two weeks so that everything looks normal. If you have further questions with regards to this matter you can address this issue with Dr. Lupanzula personally. Are the implanted hairs permanent? It is generally accepted that transplanted hairs are indeed permanent but there are rare circumstances where this may not be 100% true for all patients. When can I resume sports and an active lifestyle? Dr. Lupanzula recommends his patients to wait seven full days before resuming sports after a FUE procedure. What precautions should I take after my hair transplant procedure? You must protect the hair transplant grafts from the sun, dust and pollution by using the bandana provided by Medikemos Clinic for two weeks. When am I fit to drive again? You may already resume driving on the day after the procedure. How often should I see Dr. Lupanzula after my procedure? 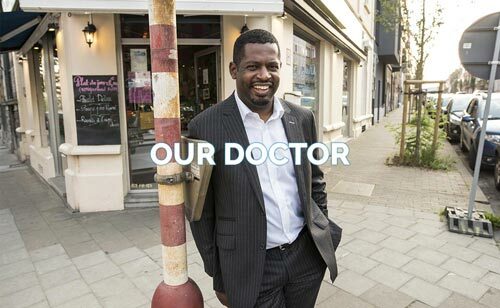 Dr. Lupanzula enjoys seeing his patients as often as possible. However, we do realise that you may not be able to make it to us in person every time. We will thus ask you to send us high quality photographs every three months to allow us to monitor and document the healing process closely. When can I return to my barber or hair stylist? Dr. Lupanzula recommends to return no earlier than three weeks after your hair transplant procedure. When can I resume swimming? You can resume swimming in the ocean as soon as two weeks after your procedure. However, Dr. Lupanzula recommends that you wait five months before swimming in chlorinated water.